Fair Trade Vancouver is committed to establishing partnerships and collaborative relationships with like- minded groups and organization committed to justice, sustainability, and human rights locally, nationally and worldwide. Goal is not only to make and improve on our relations with like-minded groups, but also to give confidence organizations to adopt and support Fair Trade Practices. We hope to use our partnerships to in public support Fair Trade, practice Fair Trade purchase, publicly reward partners for Fair Trade practices, give confidence conversion to Fair Trade products and create a national and global group for sharing resources. 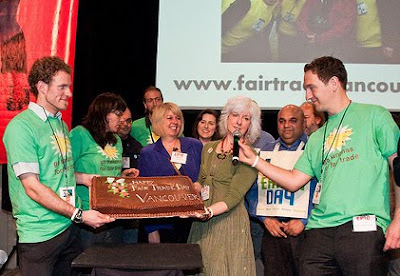 Labels: Fair Trade Vancouver, human rights locally.